The mortgage industry mourns the loss of a "giant in the mortgage industry", Homeloans Ltd chairman, Tim Holmes who died at the age of 66. Peter White, CEO of the FBAA, says the association is deeply saddened by the news of the passing of Holmes and their sincere condolences go out to Holmes’ family and friends, and all at Homeloans Ltd.
"Mr Holmes was highly respected in the finance industry. He was a leader and innovator of his time who will not be forgotten. His achievements were profound and his work will be an inspiration for years to come. Tim Holmes will be deeply missed," White said. 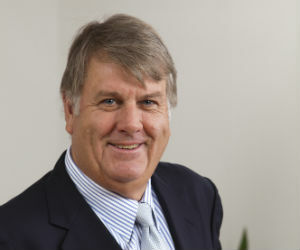 Holmes helped found the company as International Financing and Investment Party Ltd. with co-founder Rob Salmon in 1985. He had more than 44 years' experience in the finance and banking industry and was a Fellow of the Australian Institute of Company Directors. Holmes was also the former International President of the Young President’s Organisation and a former Vice President of the WA Chamber of Commerce and Industry. Holmes had been chairman of Homeloans since 2003. Current non-executive director Robert Scott has been appointed chairman of the company.